MACKENZIE, Frederick, 1787-1854 : CORPUS CHRISTI COLLEGE [CAMBRIDGE] . [London : Tilt & Bogue, 1841]. 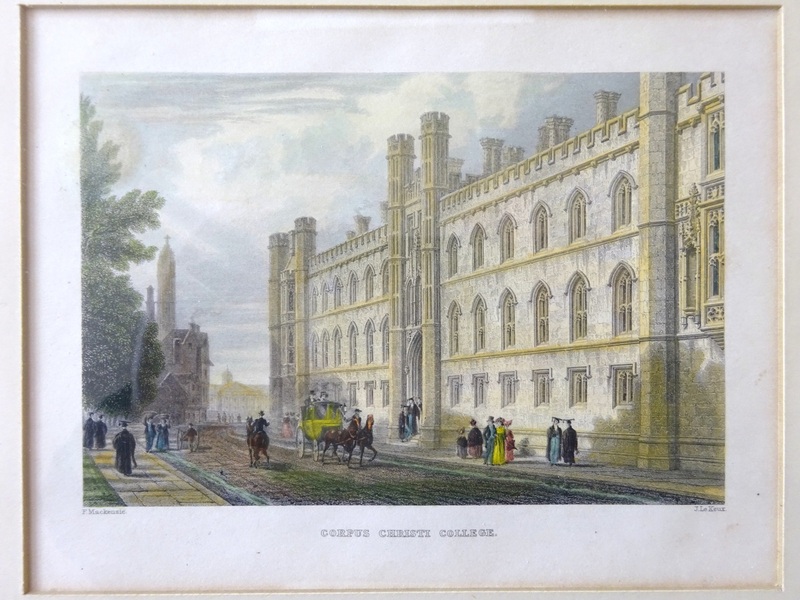 An attractive antique print - Trumpington Street and the neo-gothic New Court of Corpus Christi. 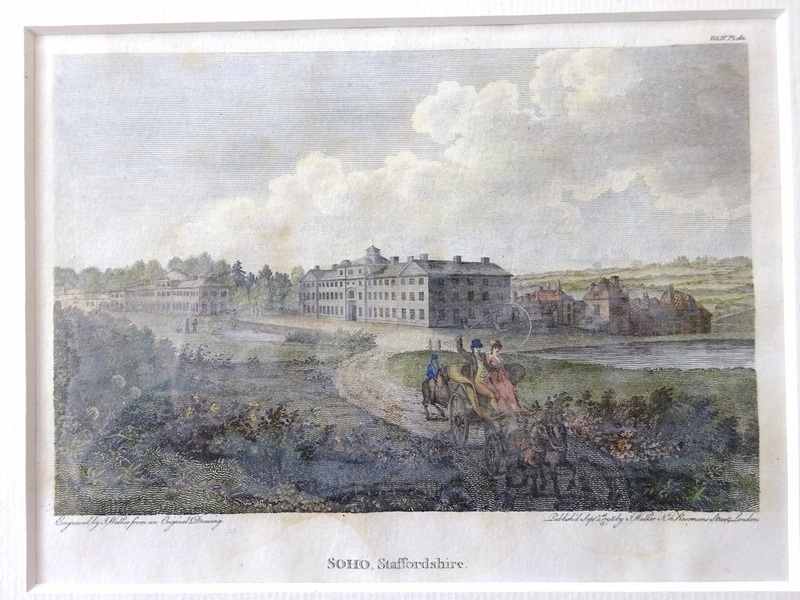 Engraved by John le Keux (1783-1846) from an original study by the architectural painter and draughtsman Frederick Mackenzie. 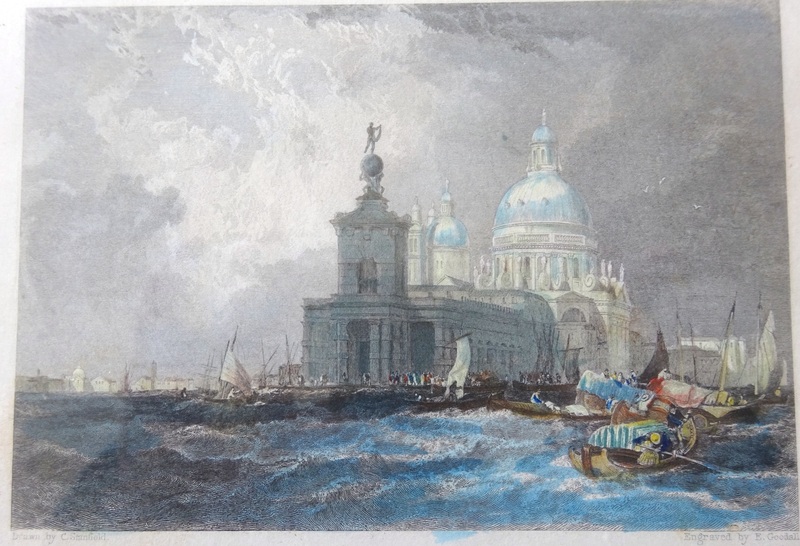 Originally produced for the Le Keux part-work series "Memorials of Cambridge" (London : 1841-1842). Steel line engraving on paper. Later hand colour. Engraved surface 100 x 138mm (approx. 4" x 5-1/2"). In very good and clean state. A guaranteed genuine antique print. VA (née Cowper; 1820 – 26 March 1880) was a British courtier and amateur photographer. She was born as the youngest daughter of Peter Cowper, 5th Earl Cowper and his wife Emily Lamb. 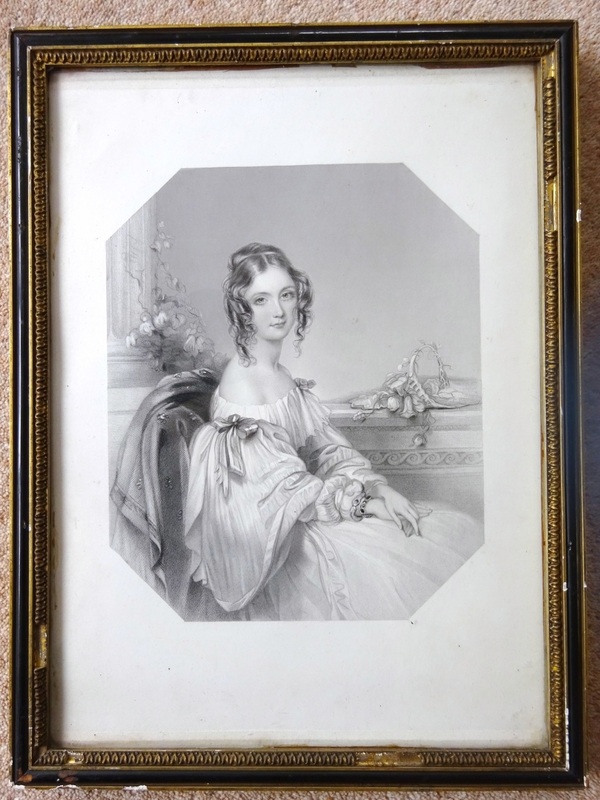 However, some have speculated that she and her brother William were fathered by Henry John Temple, 3rd Viscount Palmerston, whom Lady Cowper married in 1839, after Cowper's death. Before her marriage, Lady Frances served as one of the trainbearers at the coronation of Queen Victoria, and she also served as a bridesmaid at the wedding of the queen to Prince Albert in 1840.